If you suffer from frequent head or facial pain, an incorrect bite may be the cause due to constant cranial muscle strain. 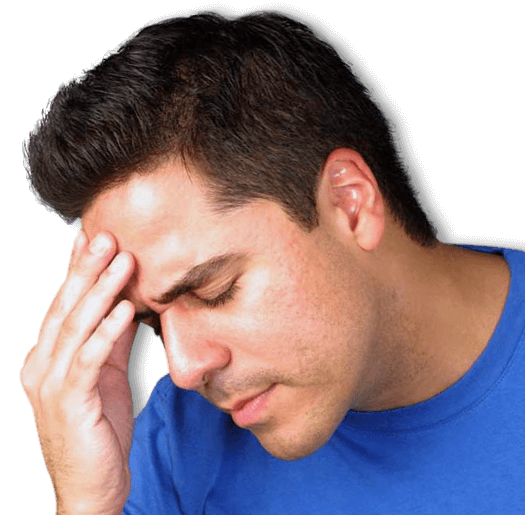 Headaches from dental stress are a type of muscle tension headache. A tension headache may be on one or both sides of your head and feels like a dull, non-throbbing ache that can usually be relieved by aspirin. When you swallow, your upper and lower jaw muscles must hold your jaw firmly against the skull. Between swallowing over 2,000 times a day and a poorly aligned bite, the jaw muscles can overwork causing muscle strain which in turn leads to a headache. People who suffer from migraine pain and chronic headaches clench their jaws in a balanced, centered position. This causes extremely intense muscular contraction, but little strain on the jaw. Nighttime jaw clenching usually goes unnoticed but it sets the stage for migraine pain and chronic headache pain.